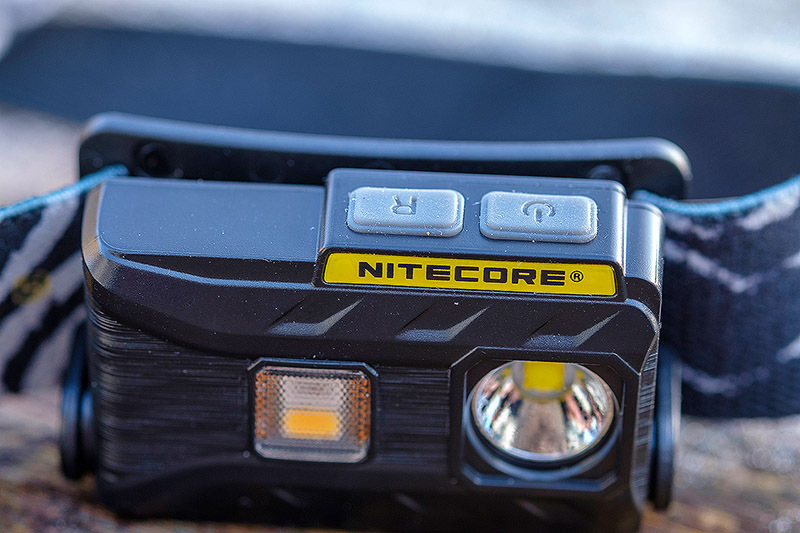 Nitecore NU25 rechargeable headlamp review - £36.95 UK price - can a headlamp for night lure fishing get any better? Bearing in mind how differently I use a headlamp nowadays for my night lure fishing compared to how much more I would use one for my bait fishing - and both during the actual fishing session and because I used to do so much night fishing - what I want from my headlamp is a bit different now. Plus of course these days lights can run on much smaller batteries and use LED bulbs which don’t bloody blow if you go and look at them wrong like those infernal halogen bulbs used to! Ideally I want a small and light headlamp that can sit in my fishing rucksack for when I need it. I don’t want to be taking it in and out of my rucksack and then find that I haven’t got it if I decide to stay on somewhere into darkness, and then I also don’t want the thing to weigh very much or take up much space in my waterproof HPA rucksack that already has a load of camera gear in it before I go putting say a waterproof jacket in there plus other bits and pieces I might need. Damn this little Nitecore NU25 headlamp is small and light, but holy cow does it pack some power and features into that little body. The strap has never once slipped down on my head and I am now fully used to the different switches and settings on the headlamp. I am trying to think of something that I don’t like about this little Nitecore NU25, but I can’t, indeed try as I might I also can’t think of a single way I would go about improving it if the chance came along. It’s nice and simple to use, the rechargeable battery lasts just fine but of course on a bright light setting it’s not going to last for days on end with its very small size - this might have been a problem during my bait fishing days when I would keep a headlamp on sometimes for hours on end, but with how sparingly we try and use our headlamps for night lure fishing I will take the small size and not such a long battery life over a bigger headlamp with a bigger battery any day of the week. Above are the quoted brightness levels and battery life for each light setting, and from a decent amount of use I see no reason to disagree with the figures. You can press and hold the red light button and this gives you a visual indicator of the power left in the battery. Having used an older LED Lenser headlamp for a while and numerous times found that the bloody thing had turned on and run itself down in my rucksack, the fact that you can press and hold those two switches above and lock this Nitecore NU25 into an off mode that then requires another press and hold to come out of is a major plus point for me, and especially because as I said earlier, my headlamp lives in my rucksack. Charging is dead simple - plug the Micro USB cable into the port on the underside of the headlamp and a red charging light comes on. A full charge only takes a couple of hours and that red light turns to green to tell you when it’s completed, and what I really like is that I have another Micro USB cable in my epic Berlingo so if needs be I can charge the headlamp when I am driving (plugs in via a USB plug thing that goes in my cigarette lighter socket). There are a few different white and red light settings, indeed if I can’t turn a red light on and off via a separate switch on my headlamp these days then to be honest I’m not really interested. Cycling through endless white light settings to get to the red light on only the one switch drives me mad, so I love the fact that this little Nitecore NU25 has separate white and red light switches. I can’t prove whether the use of a red lamp spooks bass any less than a white light, but I do know that with how little I try to use a headlamp when I am night fishing these days and how important our night vision is that of course gets better over time, I will try to do as much as I can on a red light when fishing which doesn’t bugger up one’s ninja vision. So this is how I find myself using this amazing little Nitecore NU25 headlamp for my night based bass fishing. First off I will try not to use a headlamp as much as possible, and of course it does help if you know your own fishing and casting backwards and can do all this sort of stuff in the dark. If I ignore the Auxiliary White Light and also the Turbo Mode (which to be honest I haven’t used so far) then there are three main white light settings, and for walking over fields and down cliffs or whatever I use the Mid (38 lumens) white light which is more than bright enough, and you can easily angle the headlamp up and down to suit. To change lures when I am fishing I have found that the dimmest Red Light Low (0.9 Lumen) setting works pretty well, and then if I need to move around the rocks or land and unhook a fish then it’s the Red Light High (13 Lumens) that is so handy and is a big part of what got me interested in this Nitecore NU25 in the first place. That brighter red light lets me a do a lot and it doesn’t mess my ninja vision up like switching on one of the white lights would. There is also a flashing Red Light setting which I haven’t found any need for, but rather interestingly there’s a very bright white, flashing SOS/Location Beacon light that I imagine could be pretty handy if you got into some kind of trouble at night and needed to alert people to where you are. Not for one second am I going to suggest you reply on this setting to get you out of trouble if you ended up in the drink with a lifejacket on that doesn’t have one of those water activated flashing lights on it, but with specific testing I wonder if this little Nitecore NU25 could be a useful backup on that front? Anyway, so there you go. 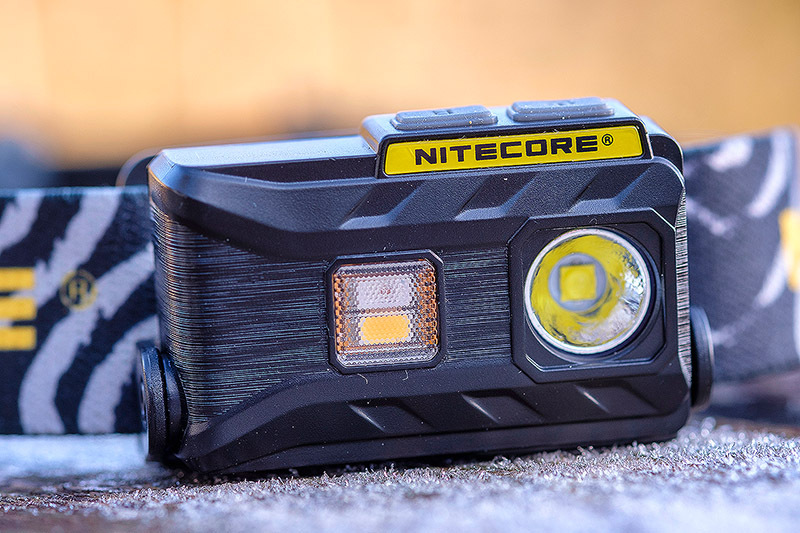 I have gone and found my perfect headlamp for the night fishing I do these days, and the fact that this little Nitecore NU25 headlamp costs under £40 is a complete steal if you ask me. I think about those great big headlamps we used to use and then I look at this thing and how much I am getting for the price and I think it’s bloody impressive. I have had a look around Google but I can’t find any tackle shops stocking this awesome headlamp, hence the links in here are to where I got mine. The instruction manual can be found here, and don’t worry if it sounds a bit complicated because initially it did to me as well - but over time with this Nitecore NU25 and using it has become as natural as opening the bale arm on my spinning reel. You all have a good weekend and I can’t believe I am asking this with the amazing run of weather we have been having, but please could we have some S or SW winds soon! Anglers eh? I’ve got X to spend on a rod and reel - what should I get? Have you seen these new Daiwa LT (Light & Tough) spinning reels?